The West Chester borough council approved a measure on Wednesday night that should cut down on noise pollution near West Chester University. 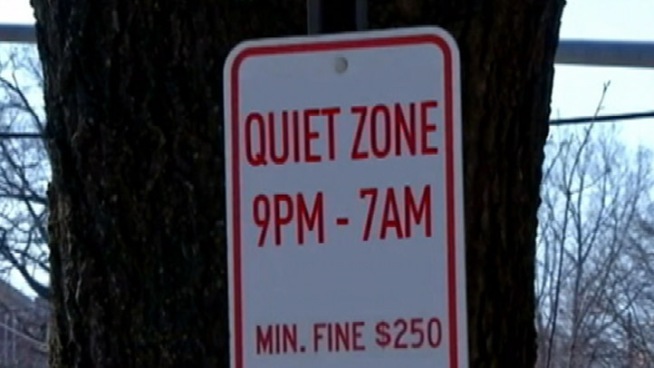 The result, 240 signs will soon be posted in “quiet zones” around West Chester University, reminding residents to keep it down between 9 p.m. and 7 a.m. or assume the punishment of a fine up to $250. Before the vote, West Chester mayor Carolyn Comitta told KYW that the fine should discourage “rowdiness” and give nearby residents some needed peace and quiet. “It may be a deterrent because the fine is $250, but people need to be reminded,” the mayor said.